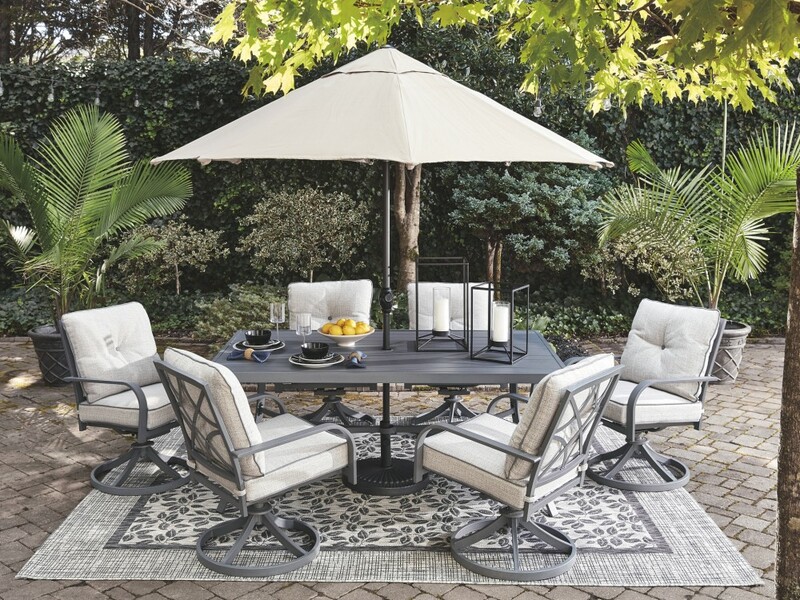 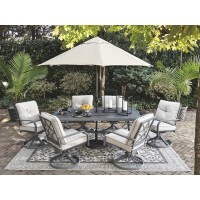 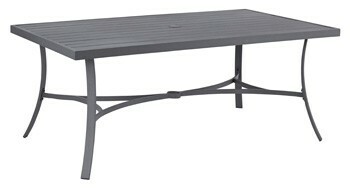 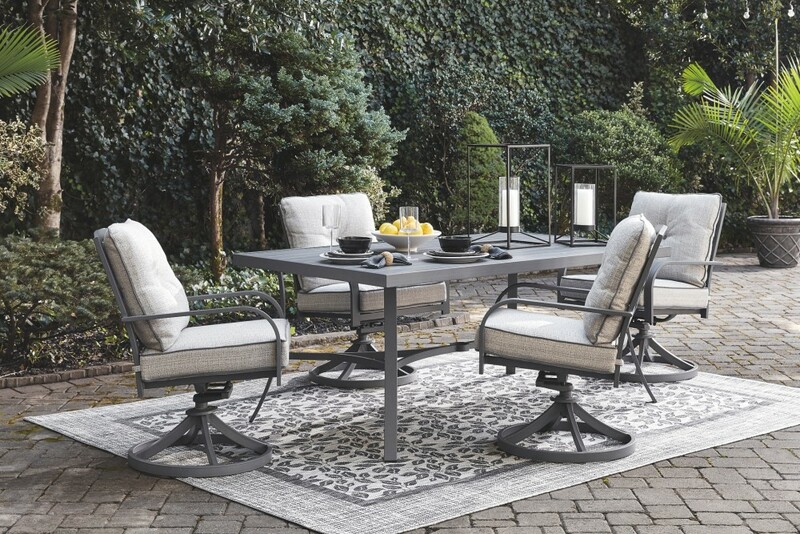 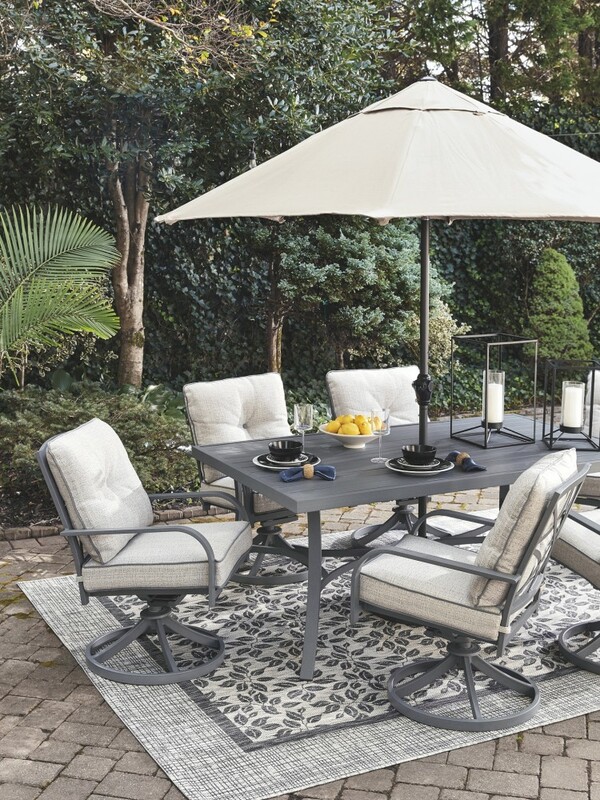 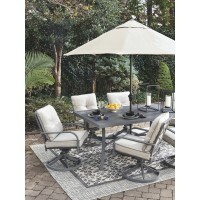 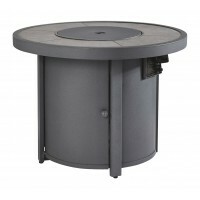 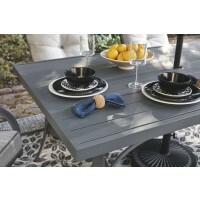 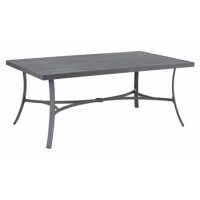 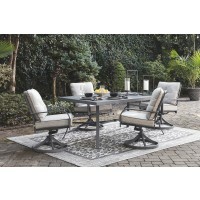 This outdoor dining table with umbrella hole serves it up right with a trendy, textural gray finish that’s decidedly modern. 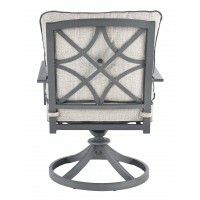 Sturdy, rust-proof aluminum is sure to weather the seasons beautifully. 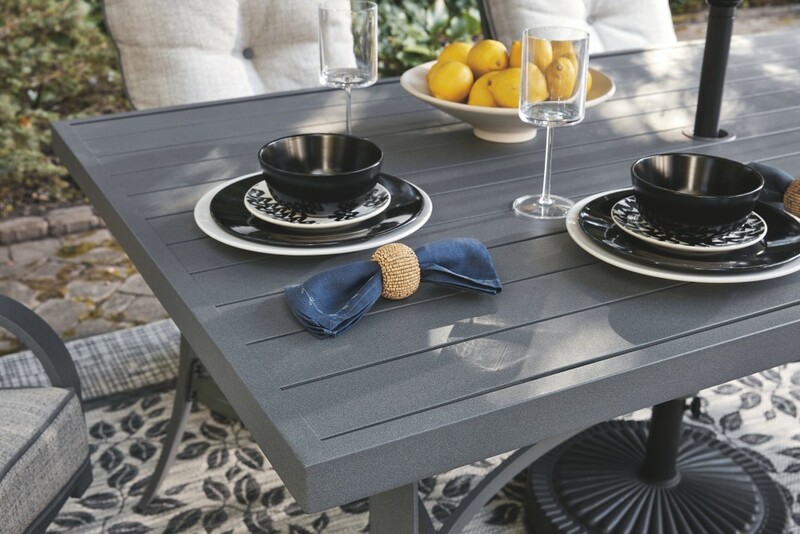 Crafted for rainwater runoff, the slat-style top is as pretty as it is practical.